Best Web Hosting HomeKnowledgebaseEmailWhy does my webmail show Internal Server Error User username is over quota cpsrvd? When you log into webmail, it can be caused by several reasons. First, please make sure the account is not hitting the quota limits placed on either the email account or the entire cPanel account. 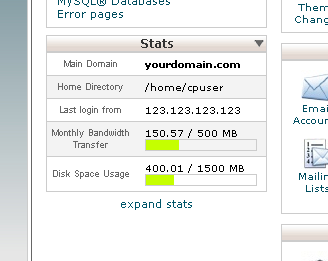 If the email account, and the cPanel are both under the limits, please contact support. In the newest version of cPanel, the way the email quotas are calculated have changed slightly, this can lead to old cached quotas to disable the account even when it is no longer over quota. It is a simple fix, however it requires root access and we would be glad to do it for you. You can contact us via Phone, Chat, or our Email ticket system.